Ahoy there me lads and lasses! It’s me again, yer favorite app pirate. Me and the crew are about to sail the good old Jolly Roger in an hour. So let me write an app review for ye me hearties ‘afore we leave and do another treasure hunt. The game that is up for review is a dance app. Ye may not know it ye buckos that this buccaneer is into dancing! Aye! Ye lads mateys will be surprised at me moves! These old salts are already telling me to prepare for the sail so let’s begin with the review right away to make sure we finish it. There’s no doubt that this app is a winner when it comes to the graphics. There are several features that let you customize your character and even the dance floor. 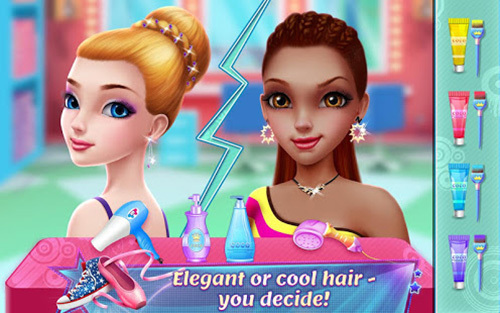 It’s part dress up and make over game, which may attract more girl players. There are many ways to change the look of your character including its hair, makeup, and clothes. However, many options are still locked so you need to wait to have it unlocked or make an in-app purchase to get them. One of the biggest concerns about this game is that it could take time to load, especially for those with devices that don’t have plenty of space. You may need to wait for a couple of minutes before the game loads, which may not be acceptable if you don’t have much patience for waiting. If you were able to load the game, you will not be disappointed, especially if you are into dance or makeover games because this app offers all those features. What’s good is that you can really choreograph the dance moves of your character compared to other dance games that just have random moves. There are various moves to choose from and you can choose which ones you like and where to put them in the sequence. There is really a dance battle as you will be competing with other dancers. The moves both for the ballet and hip-hop dancers are realistic and would remind you of the real dances. 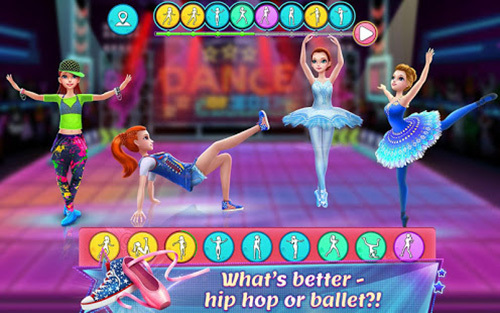 Dance Clash Ballet Vs Hip Hop is a free app that is an eye candy. The graphics is amazing and there are several options to customize the look of the character and even its dance moves. The stage can also be customized and you will compete with other dancers in dance battles. One of the drawbacks of this app is its slow loading time that can take a couple of minutes, especially for players that do not have plenty of space on their devices. Many options are also locked so you have to wait to level up or make an in-app purchase to get them. Dance Clash Ballet Vs Hip Hop may take time to load, but if you have plenty of space in your device or you don’t mind waiting, it’s still an interesting app to consider especially if you are into dance and makeover games. It’s free, fun, and it’s an eye candy.